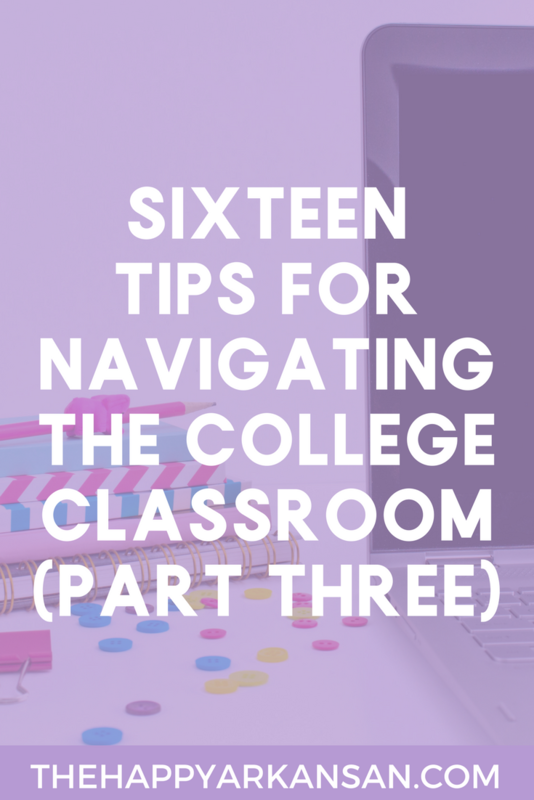 Welcome to Day 3 of my 16 Tips For Navigating The College Classroom series. Today I am going to be sharing 8 great tips for navigating the college classroom. Catch up on the previous 8 tips by checking out part one here and part two here. We have a LOT to cover today so let’s jump right in, shall we? I never really realized how awful this was until I went to class as a graduate assistant. As a student, I guess I never truly realized how loud this was, but as a graduate assistant I could hear every single zip and binder close. Packing up before it’s time to go is just rude. I am going to be honest here. Prepare to go until the last second of class. If you are paying for a 50 minute class, would you really want to get out in 40 minutes every single day? That means, you would only get 120 minutes of class time instead of the 150 minutes of class time you paid for. The school is not going to reimburse you for the class time your professor doesn’t teach so if your professor likes to teach down to the last minute, that’s a great thing. Now, if it is at 11:50 (and that is when your class ends) and you have places to be—I think it’s okay to do a little packing up. I don’t usually like to unzip my backpack, but I might close my book/binder and glance at the door. Sometimes professors lose track of time and it’s okay to make a small amount of noise to grab their attention. Don’t be rude about it though, don’t unzip your backpack loudly or stomp out of the room. A simple pencil down/book close or laptop shut down will usually do the trick. Sometimes I get a little carried away with all of the things I have out for class. If you know you need to hightail it out of there as soon as class is over, be more aware of what you need for class. 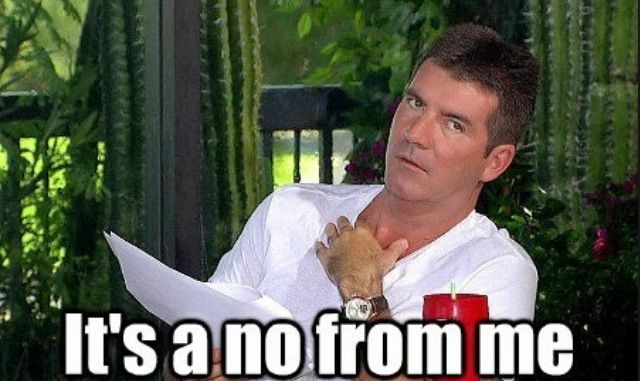 Do you really need a million highlighters, two books, and a binder out? Could you house all of your various writing utensils in a pencil pouch so that it’s easier to pick it up at the end of class? 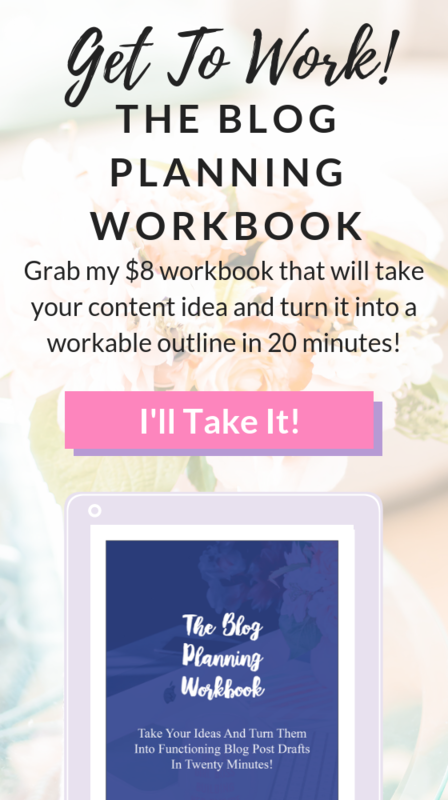 Could you just have a few sheets of paper out or a thin notebook instead of a bulky binder? Making sure that you don’t have too much out during class time can be extremely helpful if you know that you might not get out of class until the last minute. One thing that has helped me out during class is keeping the main part of my backpack unzipped during class. The act of unzipping your backpack is honestly the noisiest part of packing up—especially when multiple people unzip their backpacks at the same time. Save yourself the headache by keeping your backpack unzipped so you can easily slip items into your backpack during class without being a total distraction. Cell phones are a distraction, usually against the policy of your class, and yes I can notice you texting under the desk. You are not fooling anyone! Trust me. Our cell phones are connected to so many different things such as fun apps and games. I am sure even your professor would love to be beating the next level of Candy Crush, but instead they are giving you their undivided attention and their best knowledge for an hour straight. You can show them the same courtesy by staying off your cell phone. You don’t gotta turn off your phone, but you gotta put it on silent and put it away! Please, check to make sure that your phone is on silent before class starts. Also put your phone away in your backpack. If you are expecting something, let your professor know. Most of my professors in college have been extremely understanding. If you have a super important call that you are expecting, like someone in your family is in the hospital, let your professors know. They will understand if you need to have your phone out because of that. If you just want to have your phone out to see what your friends are saying on Facebook—put the phone away. Your Candy Crush requests and Twitter notifications will be there when you get done with class. One surefire way to make a great impression on your professor is to speak with them before or after class. Ask them a question, set up an appointment with them if you need it, let them know about a personal story that you have that relates to the lecture. There are so many things you could discuss with your professor. Building relationships with your professors is so important—especially relationships that aren’t just within the 50 minute class period. If you take some time to speak directly with your professor after class or in their office they can be of real value to you and become an excellent resource when you get ready to apply for jobs and graduate school. Speaking of resources, use your resources. 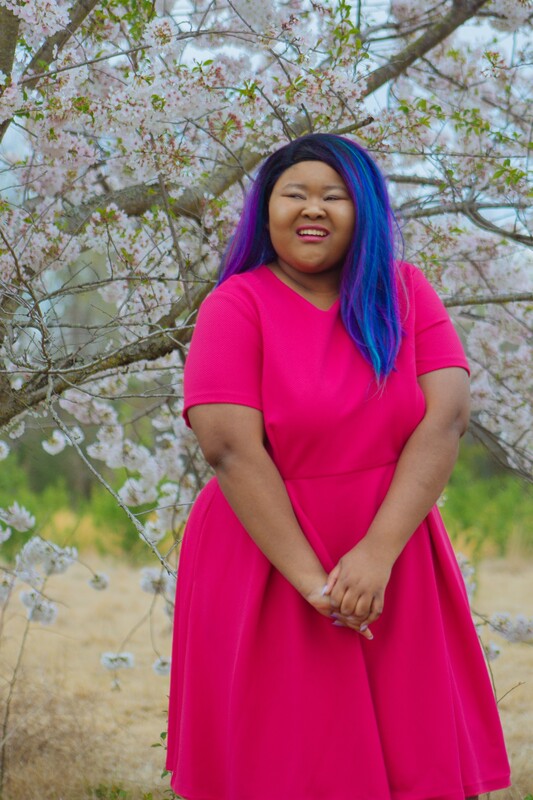 Be unapologetic if you need extra resources because of a disability. Your school wants to help you and so does your professor. Your professor can only do that, though, if you go through the proper steps. Get in contact with your college’s Disability Support Services office as soon as you possibly can so that you can work on the plan you need to succeed in your college course. With the help of Disability Support Services you can really begin to get the resources you need like extra time on tests, a quiet place to take your test, note takers, counseling, transcribing lectures for you, sign language interpretation, and more. You are paying for these services and resources with your tuition and fees so you might as well use them. More generally, there are also many resources available for both those with disabilities and those without disabilities. There are usually great tutoring services available within the departments and outside of the departments. There are also usually great counseling services if you are having trouble adapting to life as a college student. Using your resources in and out of the classroom will help you become a better college student and help you navigate the college classroom. Whenever you get a syllabus on the first day of class, what do you do? Well, let me tell you what you need to do: you need to make your syllabus your bestie. You: Hey professor how you doing today? The next important thing that will help you navigate the college classroom is understanding the importance of checking your email daily. Most days you won’t see much from your professor, but it is important to get in the habit of checking it daily. You want to be the first to know if something happens like a canceled class. A lot of schools use Google Apps for Education and give their students Google email addresses. Anything Google will be super easy to set up so your emails get sent to your phone. If you don’t have something as easy as Google and you just don’t know how to set it up go to your college’s IT department and ask them to help set up your email. During undergrad, I had an issue with my phone picking up the Wi-Fi on campus and they helped me in like five minutes. The IT department isn’t just there for professors, they are there for you to, so get help if you need it. At the end of the semester, you will probably get the chance to evaluate your professor and what they did for you in the class. My best advice is to do the evaluation but to do it with smarts. Professors are not going to strike your grade, but it might be awkward if you give out too many personal details that point to you as the writer of the evaluation. Be cautious about the details provided in the feedback, but do give lots of constructive feedback to your professor so that they can create the best class possible. Your feedback is valuable to the professor and can really change the way they decide to present the class in the future. Give your professors constructive feedback that is more than just a 1/10 and a “See ya!” Be specific, be smart, and share both the positives and negatives if you can. As a bonus tip, I want to let you know something super quickly—show up on the rainy days and the movie days if you can. Usually, these are the days where bonus points are given because students are notorious for missing days like this. This doesn’t always happen, but you’d be surprised how much bonus you could be missing out on because you skip days like rainy days and movie days. Yes, you may be able to watch the movie on your own time and staying in bed while it’s raining is always going to be the best day ever, but enough bonus can really impact your grade for the better. Sleep now or A later? Whew! Over the last few days, I have given you SO many amazing tips for navigating the college classroom. I hope you have learned something valuable from each day and that you can exit this series knowing that you learned a new strategy or lesson that you can take to college whether you are just starting or you have been in college a while. Don’t forget to check out PART ONE and PART TWO if you haven’t already seen them. I loved this post series! The tips you gave were really helpful, and I’ll make sure to apply them in my classes! I also think it’s a great idea to get your point of view, since you’ve been a graduate assistant! I so agree with your cellphone policy! I always make sure mine is put on silent and is in my backpack. Not only can it be distracting to you, but it can distract the entire class if it goes off! Most people in my class bring their laptop, and that can be super distracting as well, especially when they’re NOT taking notes for the class. That’s why I like sitting in the front row. That way, nothing can distract me from taking notes and listening in class! Loved this post! I totally agree with everything here, especially the syllabus! I can explain that one to people ad nauseam because so many people overlook the power of that outline we get at the beginning of every semester. I loved reading this series! I am about to start my freshman year of college, and I will definitely be using these tips! I just recently found your blog and I’m really enjoying reading your posts so far. I love the detail and explanations you put into everything. It’s definitely going to help me a lot!